Pocky is the most popular and famous Japanese sweet snack, and for a reason! 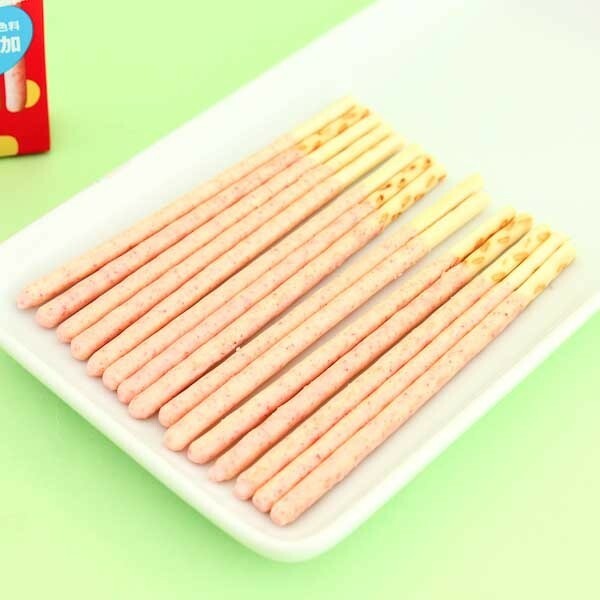 They are available in countless different flavors and these crunchy and crispy biscuit sticks are covered with delicious and natural strawberry frosting. 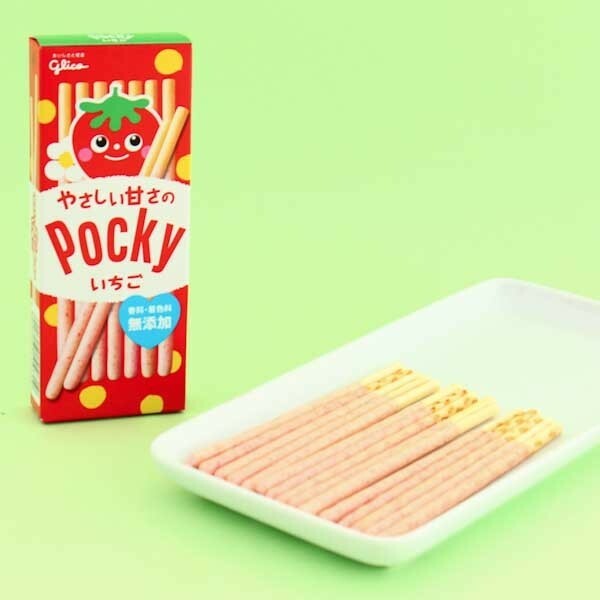 These Pockies contain only natural colors so you can imagine eating fresh strawberries from the field while enjoying these biscuit sticks! The end of the sticks have been left uncoated so you will not get your fingers sticky while eating them. 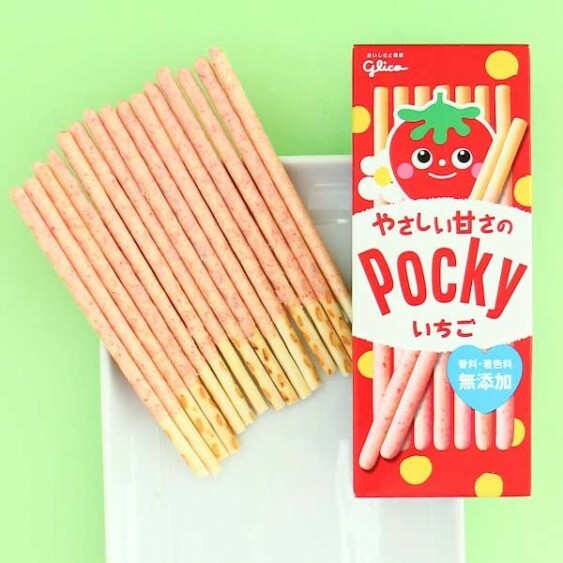 The name "Pocky" is derived from the sound that this crispy snack makes when eaten. Sweet!